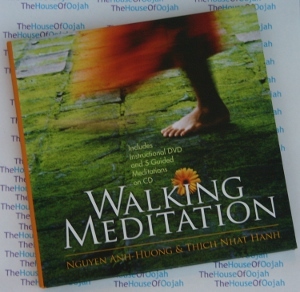 Includes instructional DVD and 5 Guided Meditations on CD. There is a Buddhist concept known as Apranihita, or spirit of 'wishlessness', in which one neither pursues desires nor flees from discomfort. With Walking Meditation, practitioners from every spiritual tradition will rediscover 'our home in the here and now, as the long road we all must walk turns to quiet joy'. Nguyen Anh-Huong is one of the first students ordained as a dharma teacher by Thich Nhat Hanh. She has taught Mindfulness Practices across the U.S. since 1988.